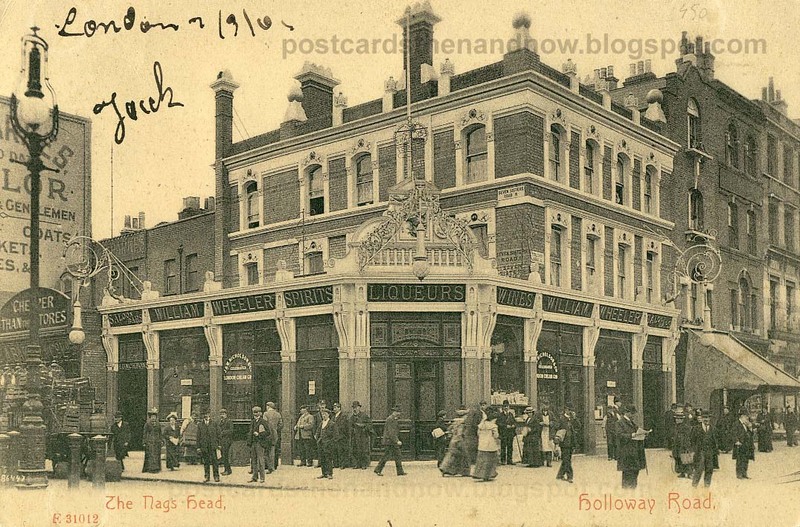 Holloway Road, North London, Nags Head c1905. 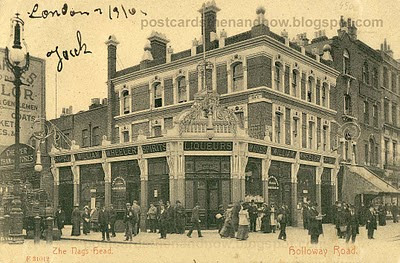 This magnificent pub is in a sorry state now. In the Google Street View we can see it has become an arcade for fruit machines. Despite the bright colours it doesn't look very cheerful to me. The Nag's Head was well known and gave its name to the local area. This postcard was posted in 1906 and was probably published by Stengel & Co.